Further to picture 2261. here is another photograph of the dancing group from Handcross school. 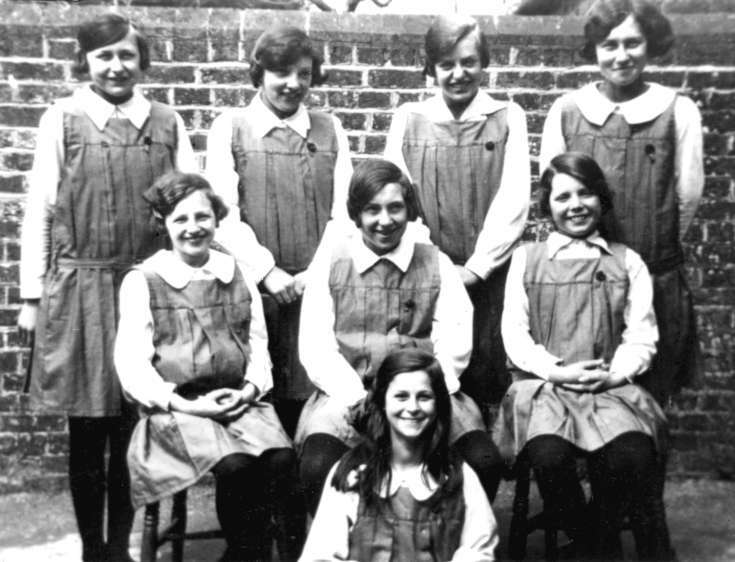 Back row: Left is Rosina “Rose” Rapley, and on the right is an unnamed girl from Pease Pottage. Seated on the left is Nora Longhurst. Front row is Eileen Stripp. Select Open Document is a school report from 1926 for Betty Field, a pupil in the infants class at Handcross School. Betty married George Hood in 1941 and they lived at Navidale in the Horsham Road, Handcross.